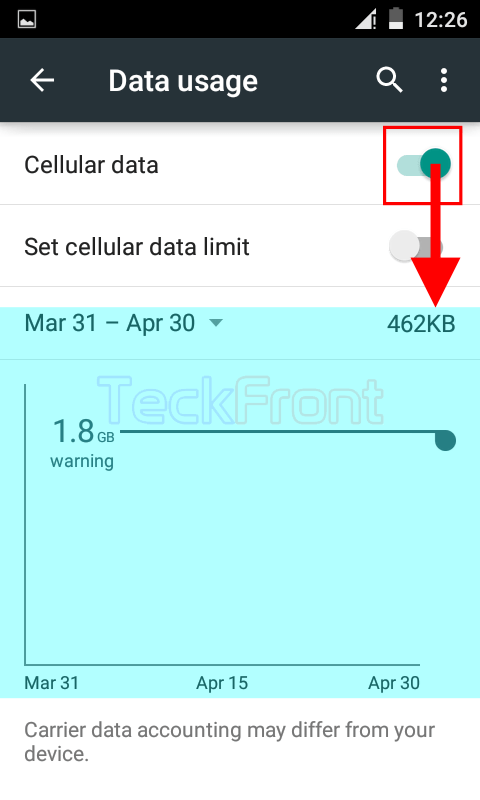 How to Turn On & Show Limits of Cellular Data in Android 5.0.2 Lollipop? If you are unable to keep a check on the Cellular data usage, rest assured that the next month bill by your Internet provider will be horrible. It is a wise step to plan and manage the cellular data usage in your Android 5.0.2 Lollipop device. The first step in the process of controlling your cellular data usage is to turn on and show its limits. It is easy to turn on and show the limits of data usage but you may also get help from the instructions. 1: Tap the icon of the ‘Settings’ on the Home screen of your Android 5.0.2 Lollipop device to open up the ‘Settings’ screen. 2: At the ‘Settings’ screen, tap the ‘Data usage’ in the ‘Wireless & networks’ section. 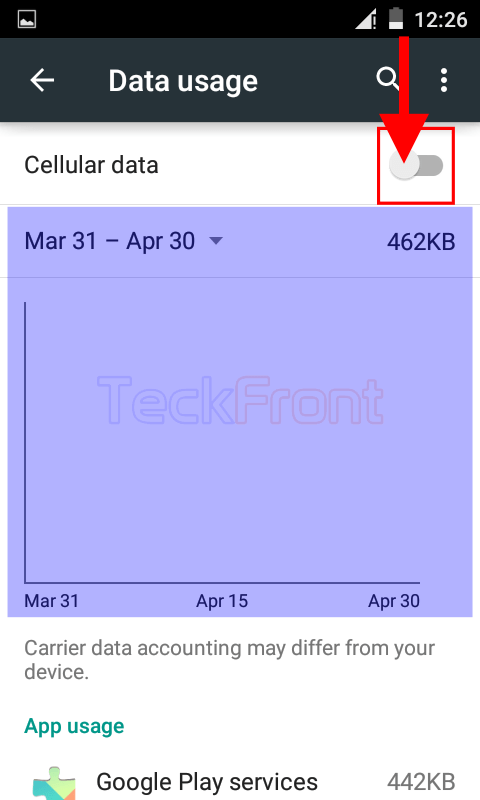 3: At the ‘Data usage’ screen, see the ‘Cellular data’ switch is turned off which is indicated by the Grey color of the switch though period and total usage are display. 4: Tap the ‘Cellular data’ switch and drag it to right to turn it on. When the color of the switch is changed to Green, it means ‘Cellular data’ is turned on. Further, a warning line will also be visible, showing the limit that when your Android Lollipop device will warn you that your cellular data limit, set by you, has been reached. That’s all! 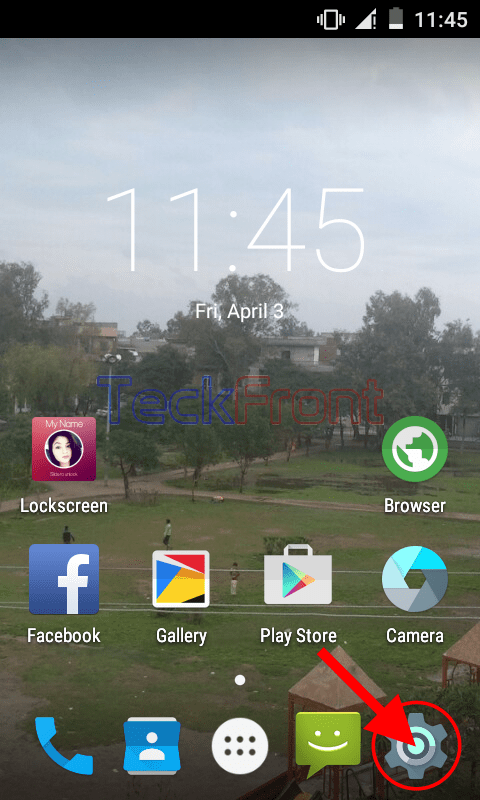 Newer How to Restrict Background Data in Android 5.0.2 Lollipop Devices? 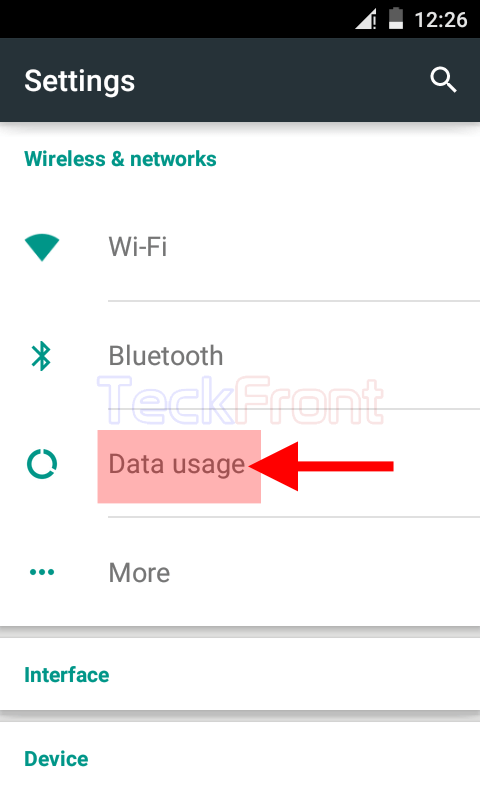 Older How to Hide Wi-Fi Data Usage in Android 5.0.2 Lollipop Devices?